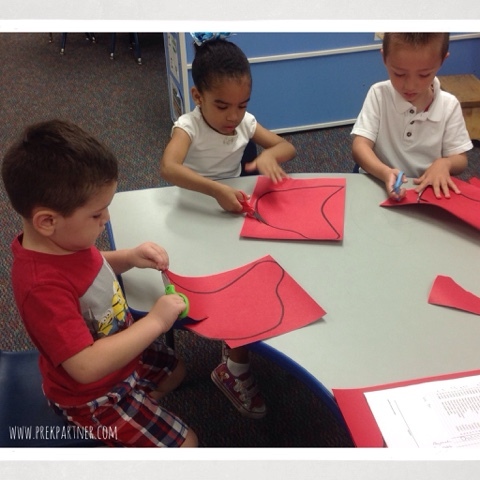 As the school year continues to develop, we are incorporating more and more hands-on activities for our students. 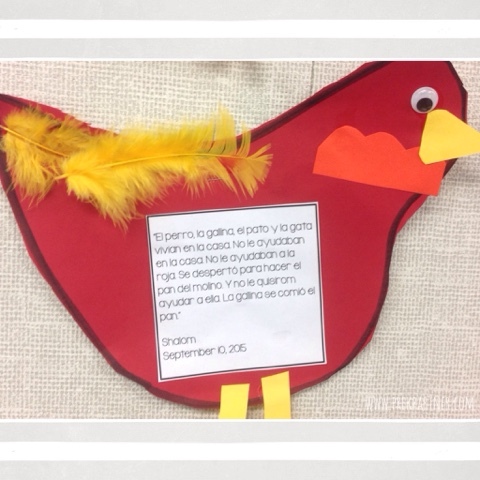 This time we explored The Little Red Hen with a variety of activities, and a cute craftivity! 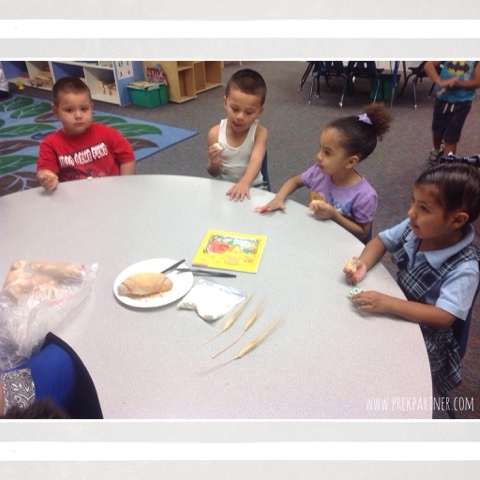 After we read the story, we ALL wanted to try some of the delicious bread the Little Red Hen had made. We got the chance to see the process of the wheat, the flour, and finally the bread! 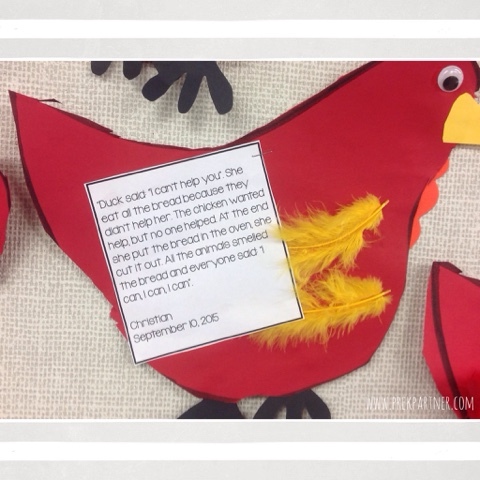 We used our senses to explore further what the Little Red went through to be able to make her delicious bread. 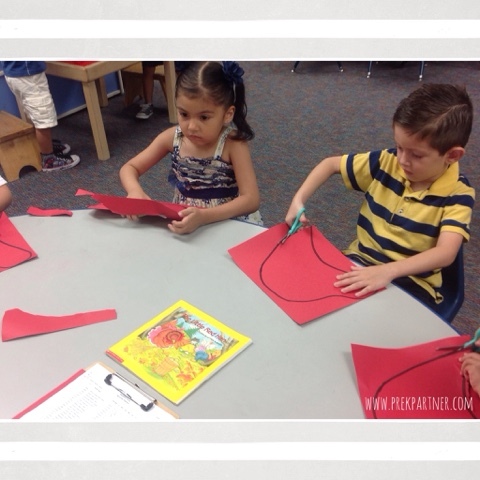 The next day we cut a paper into the shape of Little Red. 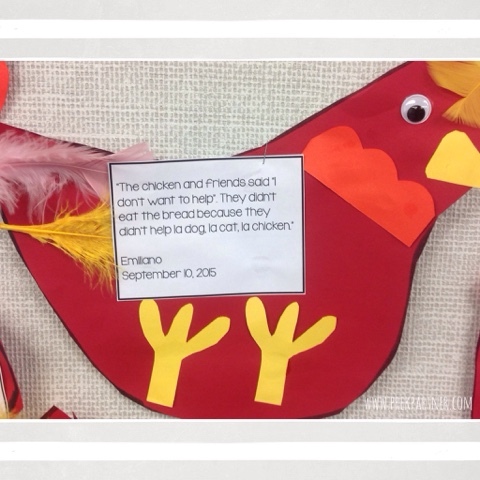 We also retold the story using the sentence frames: First...Then....at the End. 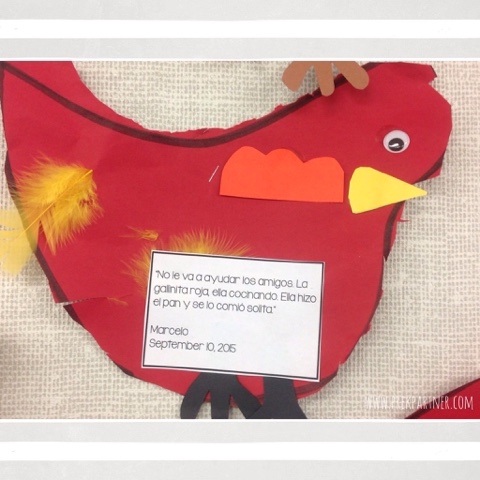 These were some of the hens we made. We took dictation of what the students had to say about the story.